This time of year has everyone scurrying around buying last minute gifts, baking holiday cookies, and trimming the tree. I personally do not find any fun in having to wrap packages (I have magical elves to help with that). I do, however, LOVE decorating the packages. Getting them all dressed up and under the tree is always a great sense of accomplishment. 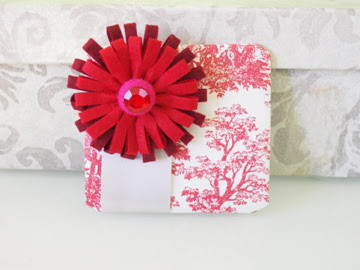 I love seeing the expressions on family and friend's faces when they see that pretty little package is for them. I'm a big believer in reusing things, or giving things a new purpose. 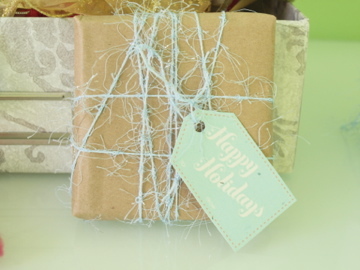 Here are a few fun tricks you can use to dress up your packages and gifts. And I'm willing to bet you probably already have a lot of these things in your home. You just have to go open that drawer that becomes the 'catch all' for things you don't know what to do with, or your crafty corner. Be creative! First up, cheese cloth and felt. Cheesecloth is great because it has amazing texture, and you can layer it as many times as you like. 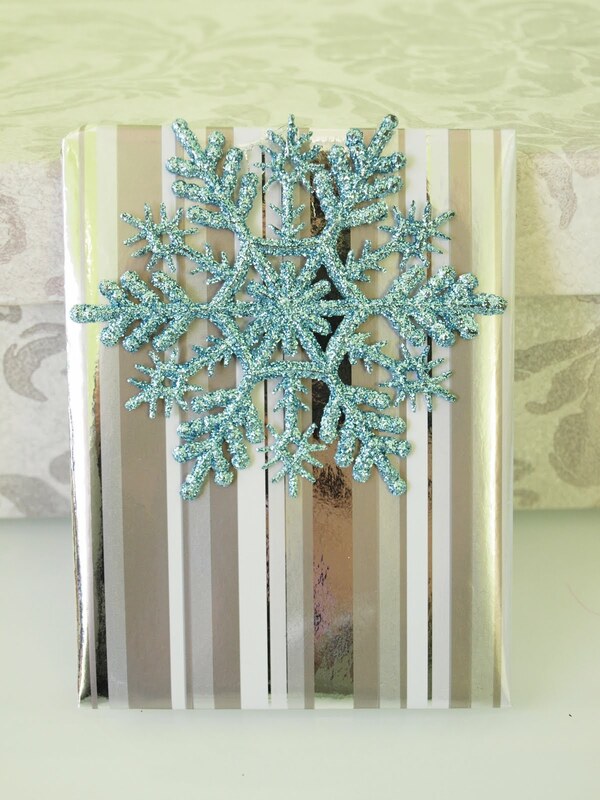 This is a quick, easy way to wrap. 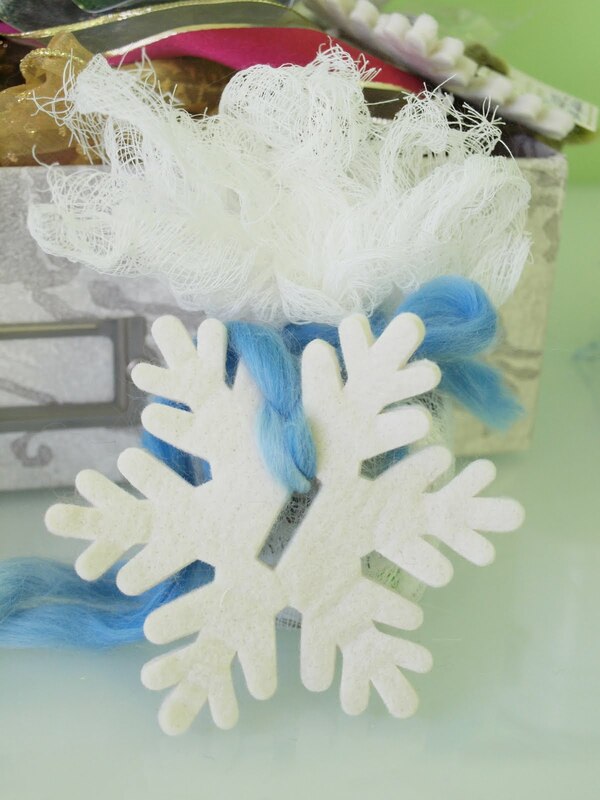 Top it off with a felt snowflake and some leftover yarn and you are all set! Felt is great this time of year because it reminds me of wool sweaters. 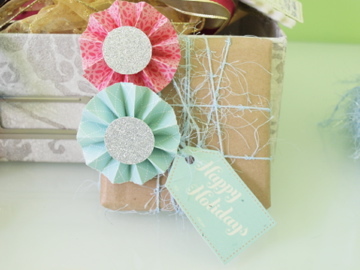 Here, colored felt makes a great adornment on some snazzy wrapping paper. You can be 'matchy matchy', or for that modern minimalist you know, choose a bright color for a modern look. 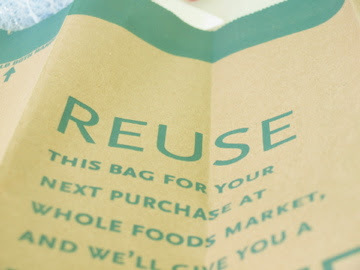 Brown paper bags - we all have these in our homes (maybe not as much as we used to with the invention of recyclable bags). Cut them up, turn them inside out so you have that nice, brown craft paper look. You can do a million things with this one. Break out the rubber stamps and inkpads, let kids decorate this with markers. I took a fluffy, delicate yarn that has a little silver 'tinsel' in it (totally reminded me of soft knitted mittens) and wrapped the package in a haphazard kind of way. The less symetrical you are, the better. Great packaging for a masculine gift. 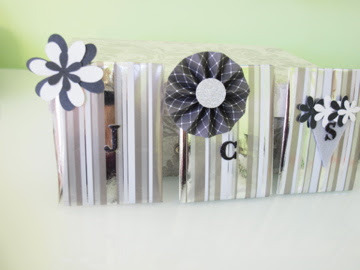 Add paper rosettes with glittery centers and this is easily transformed to something more feminine. 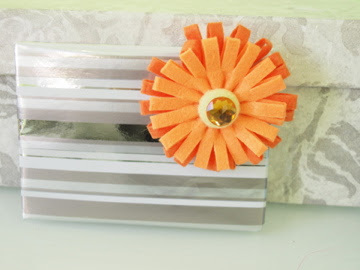 Paper punches are a great way to make use of extra craft or scrap papers hanging around. These are especially great for smaller gifts. 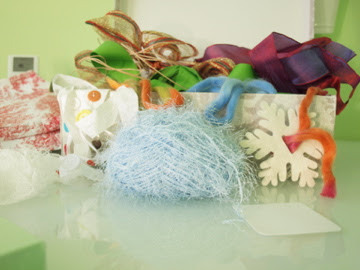 Holiday ornaments - we all have those little stragglers that pop up from time to time. Usually from changing the colors of the decorations on the tree. What better use than to add them to the top of a gift! Have fun decorating your packages this year!